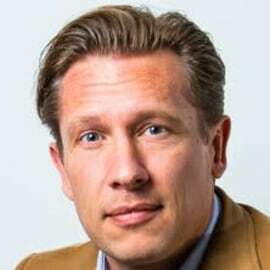 Ivo Rook is Senior Vice President Internet of Things. The Internet of Things is changing the way people live, businesses operate and society evolves. Sprint is putting this technology at the fingertips of large enterprises, small and medium businesses, the public sector, federal government and consumers. Sprint IoT services are simple, secure and highly scalable. Sprint IoT services work on all networks and offer solutions that are easy to configure and manage. The Softbank Group and the Vision Fund continue to invest in new technologies; Ivo’s responsibilities include the coordination of strategy and solutions for all Group entities for IoT and turning financial assets into innovative services for our customers. Before joining Sprint Ivo was the CEO of Vodafone Internet of Things. Ivo also supported Executive Vice Presidents for BT and Deutsche Telekom, leading their enterprise sales and large deal organizations. A Dutch national, fluent in 4 languages, Ivo has 20 years of telecommunications experience in wireline and wireless services around the globe. Ivo has a degree from the Erasmus University in Business Administration with a major in Information Management. Ivo has been featured as Dutch export talent in Management Team and published books on Information and Strategic management and continues to give guest lectures at the University of St Gallen and the Erasmus University.